"Operating a business is a daily knife fight. You get out of bed armed, stave off an onslaught of attacks, then stumble into bed at night and try to get some rest. As you can imagine, sitting still in the quiet of your thoughts and contemplating distant opportunities seems laughable." 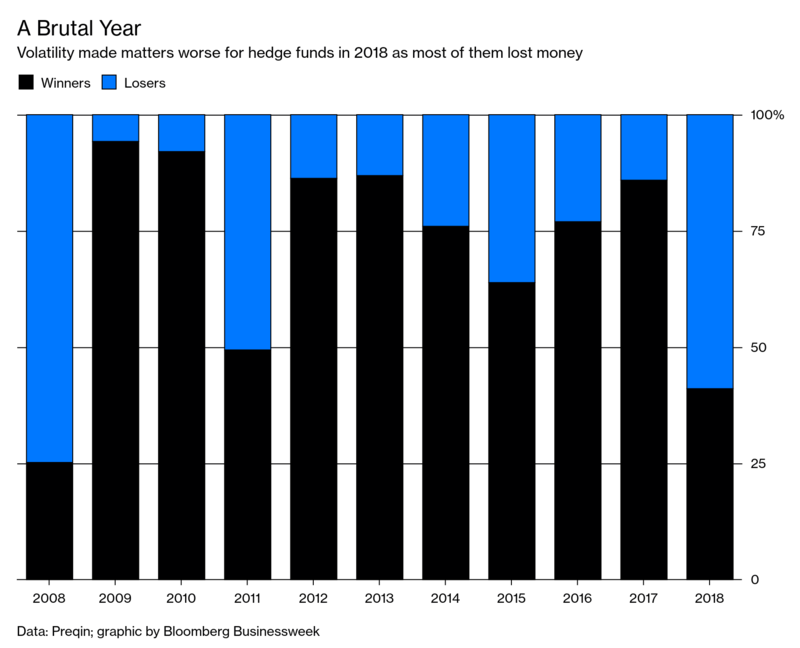 By this measure in 2018, hedge funds had their worst year since 2008.